A woman moves through the streets of a war-torn city wearing a full-length burqa. The black fabric—covering everything except a pair of stunning almond shaped eyes—contrasts against the sand and beige buildings surrounding her. The city she is standing in is eclipsed by the sheer fact that she’s somewhere in the Middle East. This is the image many Western travelers have when imagining a visit to a Middle Eastern country. The beauty, the vibrancy, the culture, and the modernism of many Middle Eastern countries, such as Iran, can often fall victim to the headlines and misconceptions surrounding them. 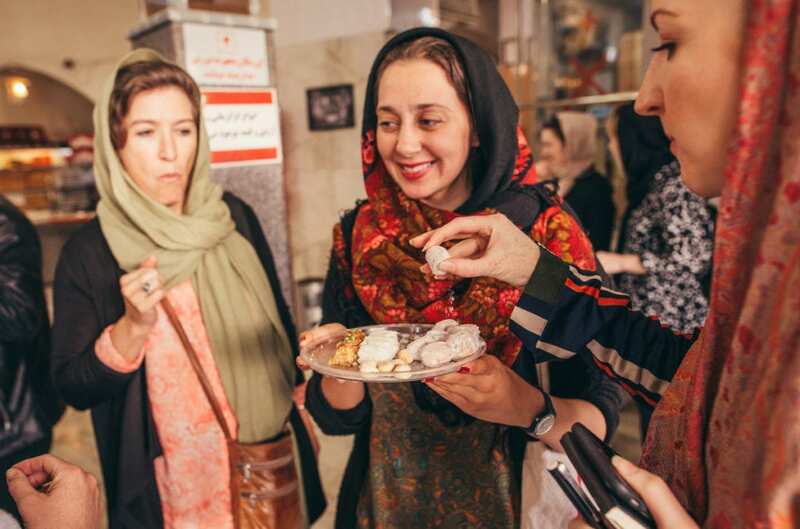 Meet Nadia Badiee, a tour guide for Intrepid Travel’s new Women’s Expedition Tour to Iran, which leads women on a 12-day trip from Shiraz to Eghlid and beyond. 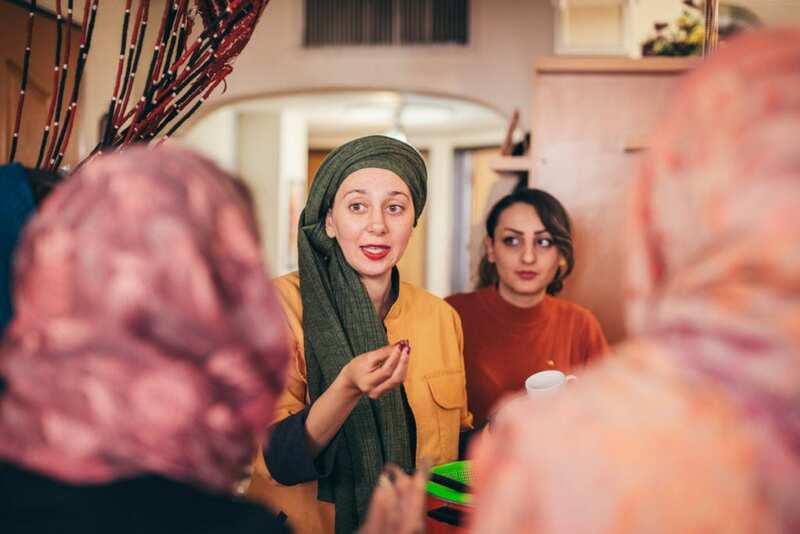 Badiee—a progressive woman in her own right— aims to debunk the many assumptions that surround Iran and its women by leading a trip that takes travelers behind-the-scenes to meet some of Iran’s entrepreneurial and forward-thinking ladies. Unearth Women (UW): What are some of the misconceptions you believe people have of Iran and Iranian women? 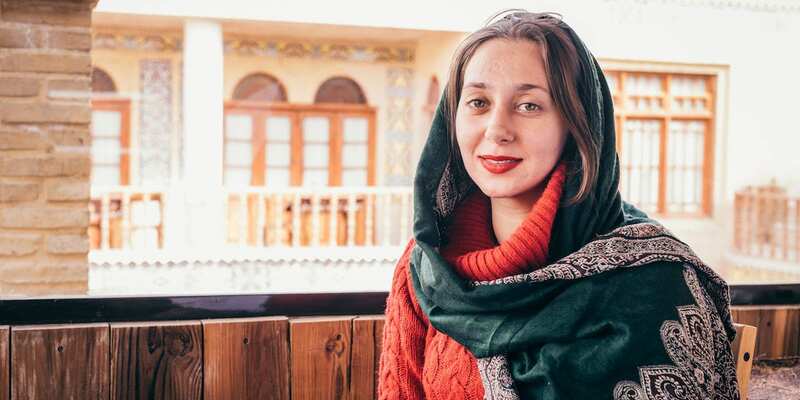 Nadia Badiee (NB): Many think that it’s not safe to visit Iran because they assume the country is full of terrorists and that the people are hostile towards tourists. Actually, the Iranian people are very kind to tourists. In fact, Iranians welcome travelers and enjoy being hospitable towards them. Unfortunately, a lot of travelers also think that all Iranian women wear a burqa, have arranged marriages and spend their adult lives being housewives while raising their children. In reality, a lot of women do work—especially in the cities—and are becoming increasingly more independent. UW: What first inspired you to become a tour guide? NB: As long as I can remember, I was always very curious about different countries and people in the world and wanted to travel to discover them. In addition, I’m a very social and chatty person, so spending my time among tourists definitely is a plus. 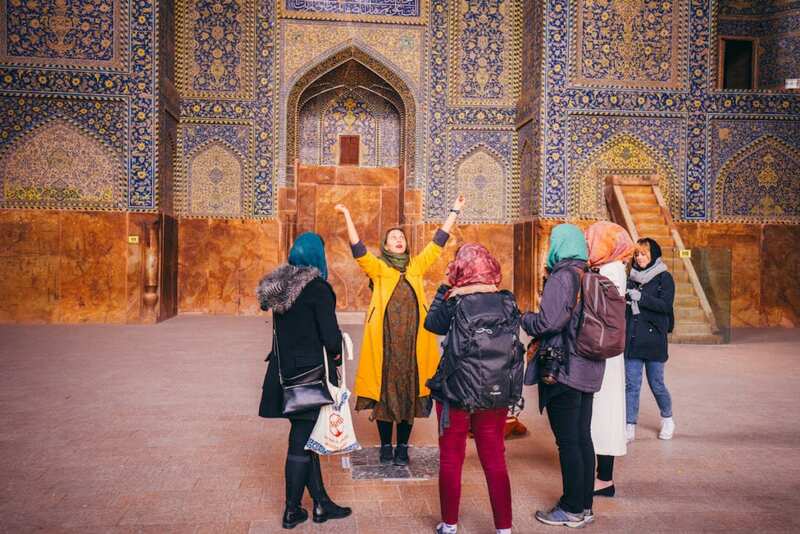 Recently, there’s been an increase in the number of female tour guides in Iran, but it wasn’t that common when I started doing this eight years ago. As a consequence, I worked hard and diligently to prove to my family—and society in general—that a female guide can be just as good as a male tour guide. UW: Tell us about the tour you are now leading with Intrepid Travel. What are some of the highlights of the Women’s Expedition Trip? NB: I’m the most excited about our trip to a homestay in a very small, cozy village near the mountains. Hardly any tourists visit this village, so the tourists that do go get an authentic experience. They get to see old-fashioned habits and customs. It seems like the village has been stuck in time for the past 100 years! UW: What are some of the benefits of visiting Iran on a female-only trip? NB: On female only trips, you can go on activities that only women are allowed to do or activities where women and men are normally separated. Among other things, this includes going to beauty salons, swimming pools, gyms, and visiting parks where women are allowed to take off their hijabs. If there are any men present in your group, you would need to split the group if you want to enjoy these experiences. UW: Iran is a conservative country, but younger women—such as yourself—are proving more progressive. How is this change impacting Iranian society? NB: More women are getting access to better education. This is in part thanks to a change of mindset in most families; more parents value their daughter getting a quality education now. This way, women contribute more to society, while at the same time finding the right way to strike a balance between work and culture. UW: What would you say to people who fear traveling to Iran? NB: Tourists who think about visiting Iran should form their opinion by reading about other tourist’s experiences and watching some of the videos that these same tourists have made. This way, travelers will discover that the newspapers are too negative and pessimistic. Iran is a beautiful and peaceful country that welcomes foreigners of all kinds. UW: For women visiting Iran for the first time, what is your number one piece of advice? NB: A lot of women panic about the dress code, and aren’t sure what clothes to wear. First, they should know that the dress code is not as strict as you may expect. Women thinking about visiting Iran can get a better idea of what to wear by looking at the Instagram pages of some Iranian women (Instagram is very popular here), and perhaps watching some Youtube videos. This way, they will know how to respect the Iranian law and dress lightly and elegantly at the same time. Wow this is a magnificent story of Nadia, whom I had the pleasure of meeting personally while in Russia. I’m glad that you did this story on her. Thanks for your comment! We think Nadia is so inspiring and are very honored to feature her!